Since he was introduced to the world with his 1999 debut release, Darwin Hobbs has become known as a singer with a truly once-in-a-generation voice. His range is almost as boundless as it is breathtaking, employed like a finely tuned instrument: soft and tender, big and bold, and all points in between. But his latest release, titled simply Worshipper, carries him to a realm both higher and deeper than ever before; for even greater than his magnificent voice is his heart for worship and praise of the Almighty. And while Worshipper is every bit as "distinctly Darwin" as any of its predecessors, it also exists in a place all its own, clearly nearer and dearer to him than even his greatest musical moments of years and albums past. One might say that Worshipper is the album Darwin Hobbs has been destined to make. In fact, Darwin himself says almost precisely that. "A huge part of my artistry arises from my life as a worshipper," he says, "and that comes out wherever I'm singing, and hopefully in my life as a whole. It's more than what I do. It's who I am." Darwin's investment in Worshipper-heart, mind and spirit-is profound, as he assumes a level of involvement and immersion beyond anything he has ventured before, writing or co-writing four of the album's thirteen songs, and taking the primary role in its stunning vocal arrangements. 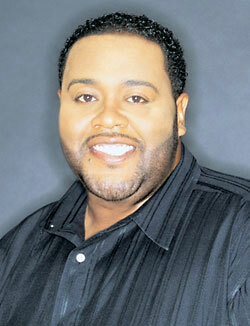 The ten songs that make up the core of Worshipper were produced by chart-topping praise and worship luminary, Israel, and Aaron Lindsey, who also share a number of co-writing credits on the project. Worshipper also offers three decidedly urban and hip-hop-flavored bonus tracks. Two ("All Sides" and "Grace") were produced under the golden hand of Tommy Sims, whose star-studded rsum includes CeCe Winans, Bruce Springsteen, and Amy Grant, and as co-writer of the Grammy-winning Song of the Year, "Change the World," a mega-hit for Eric Clapton. The third, "Let Him In," displays the irresistible touch of multi-platinum hit-makers of Darkchild Entertainment, better known as brothers Rodney & Fred Jerkins. "I think this album will speak to the deep places in people who are worshippers already," Darwin says, "and I believe it will also draw others to a level of worship they may never have encountered before. The bonus tracks are to let people know we still know how to kick it," he adds with a chuckle, "and hopefully to bring people into this experience who well may be venturing into the church for the first time ever." The heartbeat at the core of Worshipper is found in its first seven tracks-six individual songs and the four-song "Worshipper's Medley"-alternately rousing, reverential, and celebratory, and all deeply soulful as only Darwin could deliver them, and they stand as the first full worship project of his career. "Lord We Rejoice" is a high-energy, stand-up-and-dance exaltation, with Darwin and his vocal ensemble-featuring Anointed's Steve and Da'dre Crawford-in vocal overdrive. "That's a very straightforward proclamation of the power in the name of the Lord," Darwin says, "and our rejoicing in that power. It's very intentionally the opening song on the album. That fundamental statement sets the tone for all that follows." "Glorify Him," the album's first single, is propelled by an infectious, Latin/funk groove with Darwin and the ensemble in a dramatic vocal call-and-response. "There's a theme running through that of racial and multi-cultural reconciliation," says Darwin," and that's a ministry that Israel, Aaron and I all feel called to. It's a call for all people-every nation, every city, every color-to worship together as one." Every nuance of Darwin's always dazzling voice is on display in the gorgeous ballad, "Dwelling Place," while "Forever" is a steady rocking Gospel/R&B exclamation of praise to God, that resolves into a gentle and moving coda. "Better Is One Day in Your House" is a beautiful rendering of a modern classic-in-the-making, and "Come Let Us Sing" is a church anthem with a decidedly soulful, Gospel flavor. The "Worshipper's Medley contains three contemporary takes on classics of the church, "Precious Jesus," "Bless the Lord, Oh My Soul," "Hallelu," and "The Lord Is Here," a stirring Darwin original, rendered with a prayerful delicateness and devotion. Darwin is a man in the midst of what he calls "an ongoing and incredible journey." He was born and raised in Cincinnati, where he'd discovered at age 10-on his first day in church choir-his phenomenal, God-given gift for singing. He sang constantly throughout his childhood and adolescence, in church and school, both as a soloist and in various ensembles. In 1996, Darwin and his wife, Traci, moved to Nashville, with Darwin determined to make a life out of serving the Lord he loved by singing the music he loved. Within only a few weeks Darwin, to his amazement, found himself singing on major-label projects by an ever-widening array of name artists that grew to read like a who's-who of modern Gospel and pop music-including CeCe Winans, Michael McDonald, and Donnie McClurkin. As he marked his six-month anniversary in Music City, Darwin began receiving serious industry interest in him as a solo recording artist, leading to his first EMI Gospel release, Mercy, in 1999, followed by the 100,000-plus-selling Vertical two years later, and his 2003, No. 1 triumph, Broken. With what continues to be an ever-upward career trajectory, and a constantly expanding platform for his music and ministry, Darwin's goals reflect a humble but serious sense of purpose behind it all. "I've just tried to conduct myself as naturally as I can, and be where God wants me to be, doing whatever He would have me do," Darwin concludes. "If it could just be said of me and my life that I was a man of integrity, and there were people who, in one way or another, were led into a greater intimacy with God through what I offer, I would feel like I had accomplished what I'm here for." Words spoken indeed from the lips, and the heart, of a true worshipper.